Congratulations on your decision to work with drones or UAVs (Unmanned Aerial Vehicles) as they are more properly known. Many experts are predicting an economic boom in this field over the next few years. Whether you want to explore a career as a drone pilot or in a related role, simply by visiting this website you are already ahead of the curve. The U.S. Federal Aviation Association (FAA) projects that 30,000 drones could be in the nation’s skies by 2020… and they’re going to need pilots, technicians, imagery analysts, payload specialists, system engineers, and skilled people to help manufacture them. One of the goals of this website is to show you where you can obtain valuable drone pilot training. If you are specifically looking for a UAV degree program, you should start with our article: Drone Training Colleges: The 20 Best Ranked. Please note: In the interests of full disclosure, we are currently participating in an affiliate program with DARTdrones. Other than this, Drone Training HQ has no financial interest in any of the institutions listed on the pages above. By the same token, we do not endorse any one of these institutions over another. Program descriptions are usually taken from the websites of their respective organizations. We encourage you to do your own research and decide for yourself which of these UAV programs is right for you. 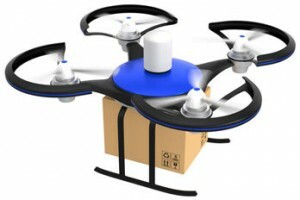 Civilian drones are most certainly in our very near future. Not only is the technology ready, but UAVs have never been more affordable, and they have an incredibly wide variety of potential uses to both government and the private sector. According to the Association for Unmanned Vehicle Systems International, commercial drone use will become a $13.6 billion industry by 2018, creating more than 70,000 jobs. Camera drones alone are expected to be a $5 billion a year industry, comprising all sorts of fields from real estate and advertising, to crop dusting and environmental monitoring, to security. Currently, the only thing keeping this economic tsunami at bay are government regulations. Just a couple of years ago, commercial use of drones was virtually forbidden. But this situation is changing rapidly. In fact, the FAA has been given a deadline by Congress to integrate civilian drone use into the national airspace by the 2015. The demand for people who know how to fly, repair and build UAVs could be staggering. Those who have the technical know-how may be able to command top-dollar for their skills, and have the opportunity to start on the ground floor of an industry that has unlimited potential. The Roman philosopher Seneca once said, “Luck is what happens when preparation meets opportunity.” Well, a clear opportunity appears to be on the horizon, and there may never be a better time to prepare. Use the resources on this website to create your own luck! Check out our list of drone schools or use the map above to find one to enroll in. Read articles on drone jobs. Find out how else you may prosper in this exciting new industry. Educate yourself. Civilian UAV pilot training is very likely within your reach, as is that of engineer, technician or support specialist. The next step is yours.